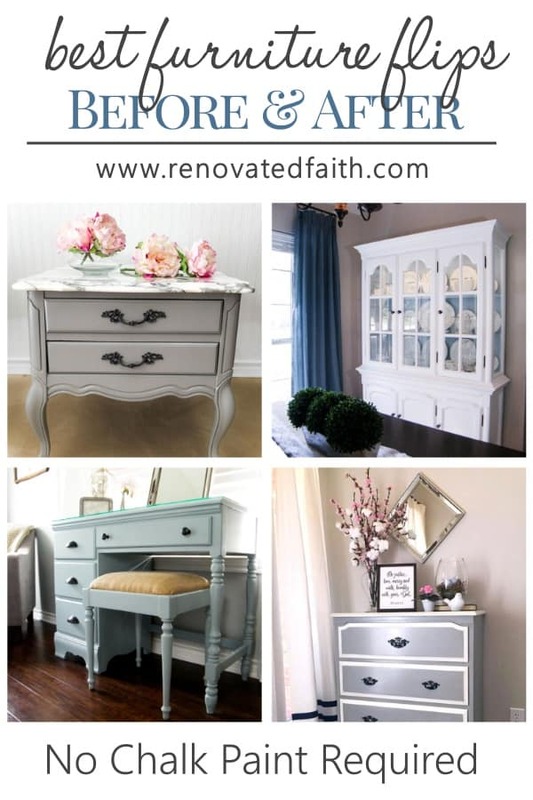 Furniture transformations are more to me than just revamping a piece of furniture with paint. 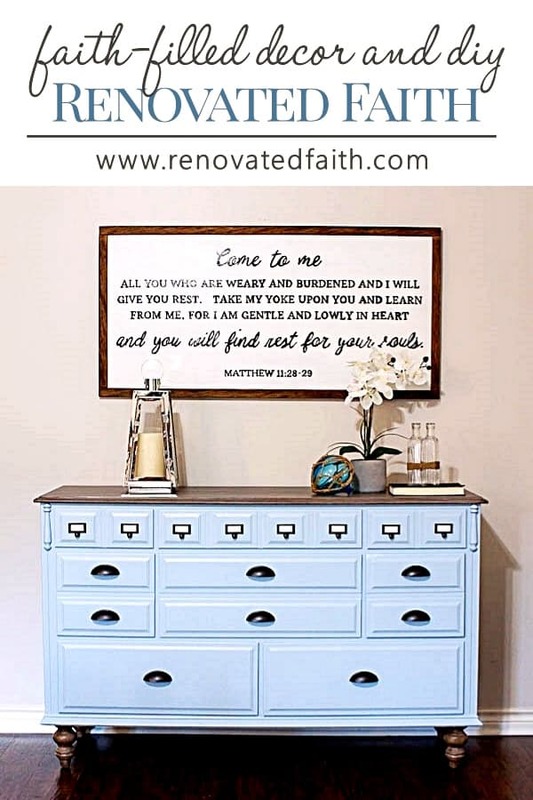 Yes, I take special care to prepare and paint the furniture in such a way to provide a durable and beautiful finish, but the process itself is so therapeutic to me. These curbside rejects often remind me of how far I’ve come and the true source of my restoration. 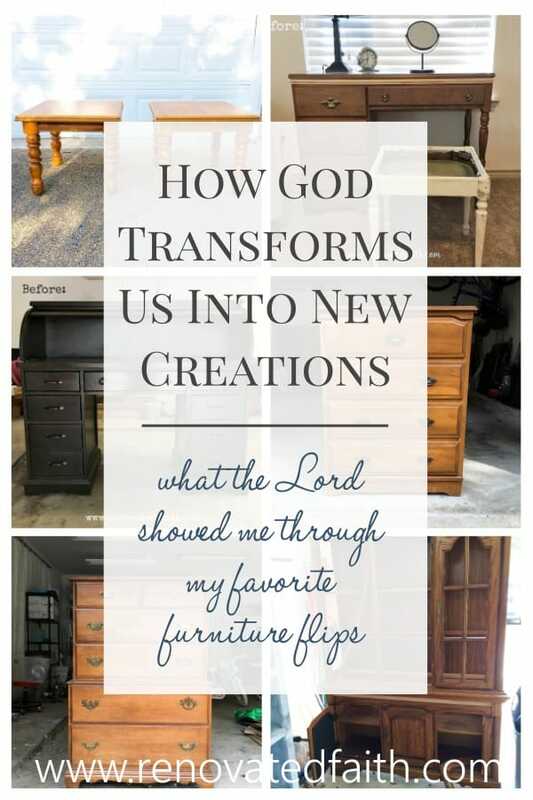 In this post, I share about giving old furniture a modern makeover while sharing my favorite aspect of DIY furniture makeovers. From a vanity to a rolltop desk and even marble side tables, there are a couple things they all have in common. 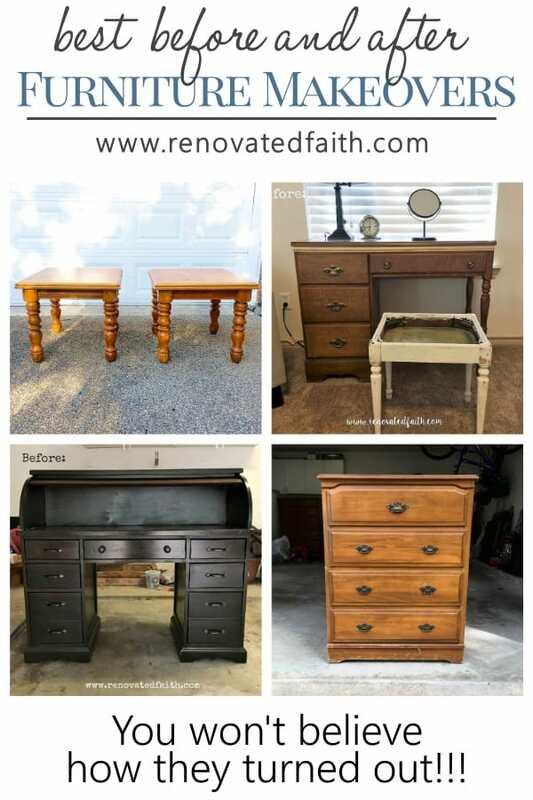 Yes, they are all inexpensive furniture makeovers that give you the beautiful look of expensive furniture pieces for a fraction of the cost. 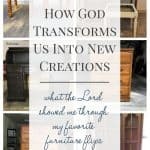 But, I also see a lot of my own journey in these diy furniture transformations. In John 4, we see Jesus making his way from Judea to Galilee. The shortest route was through Samaria but many Jews would take an alternate, much longer route to avoid being around Samaritans. The Jews saw Samaritans as perpetually unclean and religious compromisers. In fact, many Jews had such a disdain and hatred for them that when Jesus’ enemies wanted to insult Him, they called Him a “Samaritan”. 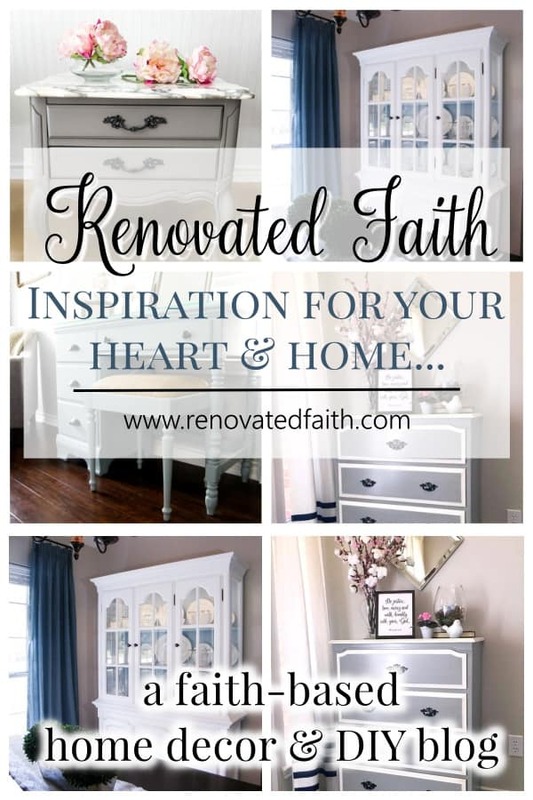 Renovated Faith isn’t just a furniture makeover blog. 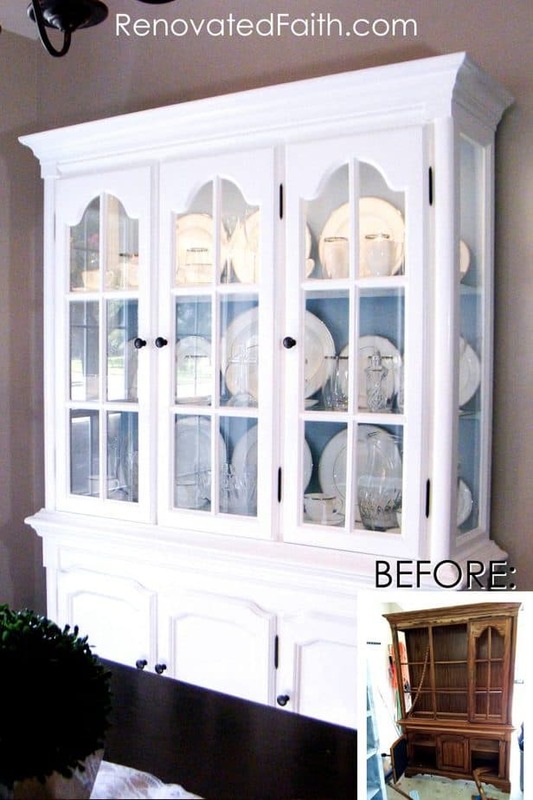 Yes, I love showing readers my latest transformations, but I also share about my biggest transformation as I do in my China Cabinet Transformation post. On that same day a Samaritan woman went to a well in Samaria to get water. Jesus approached her. It was rare for a Samaritan women to come to the well that time of day and culturally unacceptable for a woman to be alone in public. Scholars believe that perhaps she was seen as rejected in her community and knew others wanted to avoid her. But Jesus does just the opposite. In those days, Jews were often prohibited to speak to strangers, to speak to women and were always prohibited from speaking to Samaritans. She already had three strikes against her. But in spite of the cultural requirements that surrounded Him, Jesus sought her out. He purposely came through Samaria and went to the well, not to get water but to give this one woman the only thing that could satisfy her thirst. 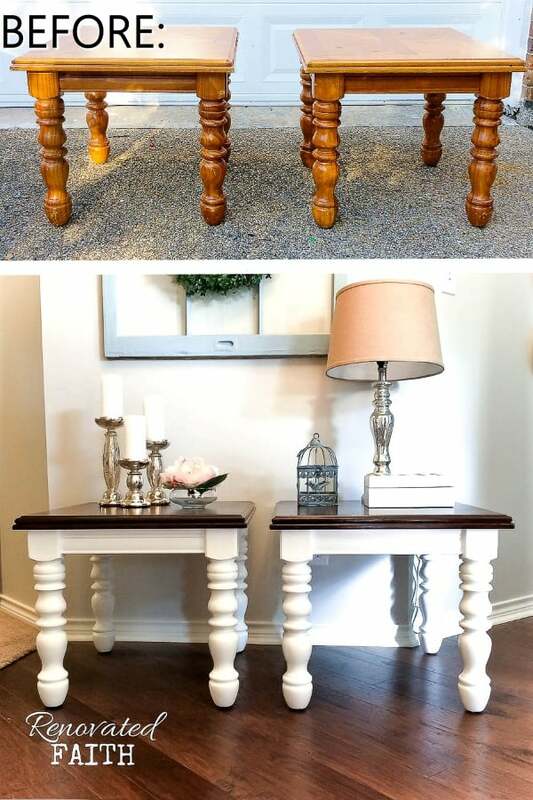 See the full Marble side table reveal here in my post about the comparison trap. As they began to talk, Jesus described to her the living water that can only come through knowing the Father. At the time, the women thought he meant physical water but the Lord doesn’t seek to only heal us physically but also spiritually. Our greatest need is not just on the surface. When God reaches out to pull us from our brokenness and despair, He doesn’t just bandage our wombs, but he makes us fully whole. Jesus knew her story…every ugly detail. He knew of her sorted past, that she had lived a life of impropriety with several men but He still sought her out as one of His own. 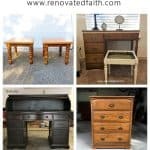 How To Gel Stain Furniture – One of my favorite repurposing ideas for old furniture is my process for covering an old stain without using furniture stripper. See how it’s done here! Like recovering a broken piece of furniture from a trash heap, Jesus sought her out. In the same way, Jesus pulls us from our state of despair. He fixes our hurts, sands our rough spots and makes us whole again. 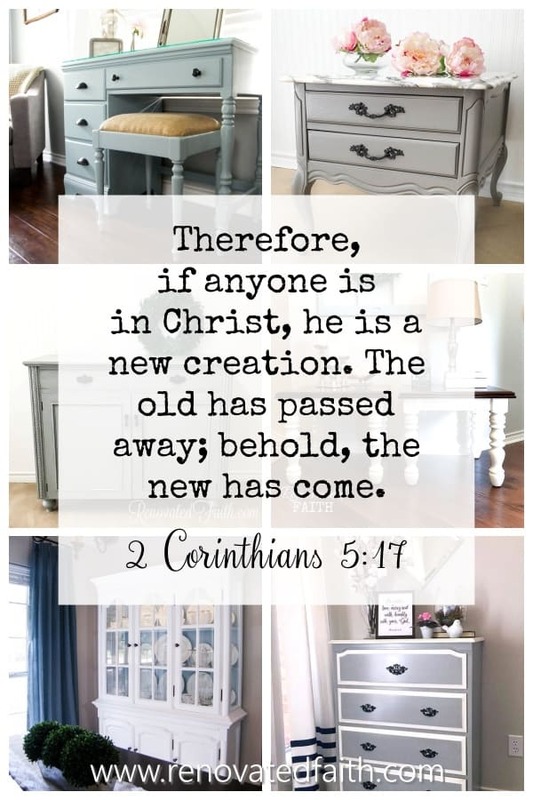 But he doesn’t just make us a new version of our old selves. Instead, he makes over our hearts, giving us opportunity and capability to be who we were always created to be. Our Savior seeks us out. He chases us down. And in spite of our failures and shame, He will never ever leave one of His sheep behind. He actively seeks us out to give us new life in Him. As someone who has struggled with feelings of rejection, know that there is on person who will never reject you. No matter your failures, not matter your struggles or your past, He will never let go of your hand. 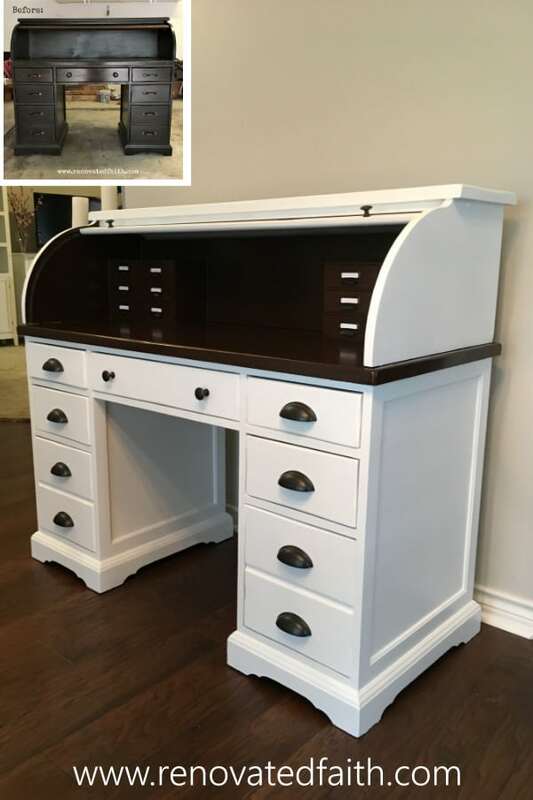 Before and After Furniture Painting – Click here to see the process with my rolltop desk makeover! So many of the furniture pieces I’ve refinished, should have been thrown in the trash a lot time ago. They weren’t worth my time, my effort and they cost me more than I could ever get in return. Thankfully, regardless of what we may deserve or who has rejected us in the past, the only ONE who should have rejected us didn’t. In Him, we can have new life and purpose, if we trust in Him. 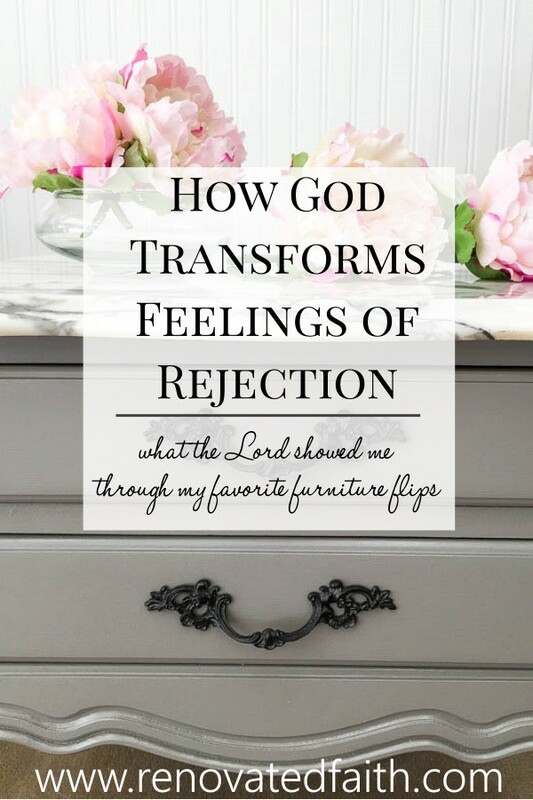 If you want a fabulous resource on rejection and shame, you have to listen to podcast number 12 from Journeywomen. 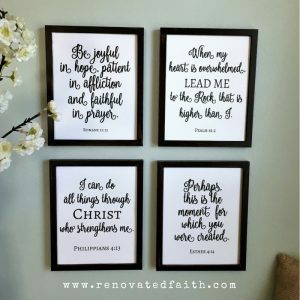 She is one of the podcasters I listed in my post Best Christian Podcasts for Women and the information in this episode was life-changing for me! 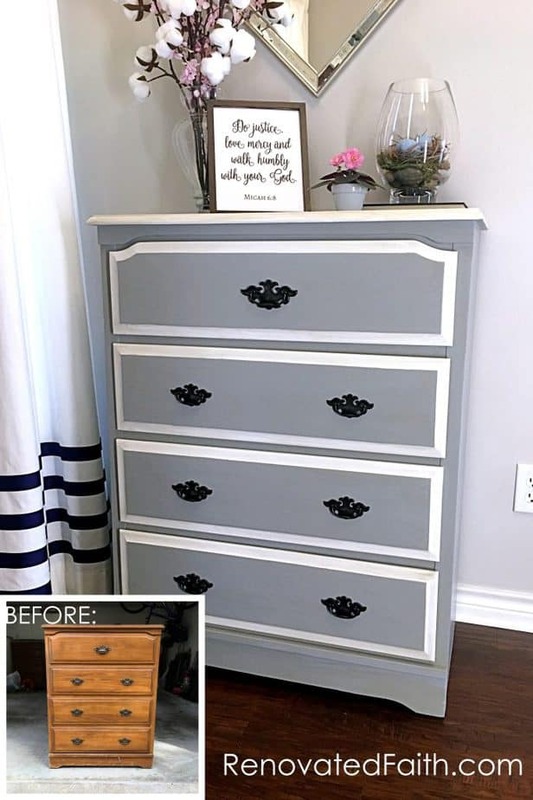 To see my blue dresser makeover with a diy driftwood finish click here. 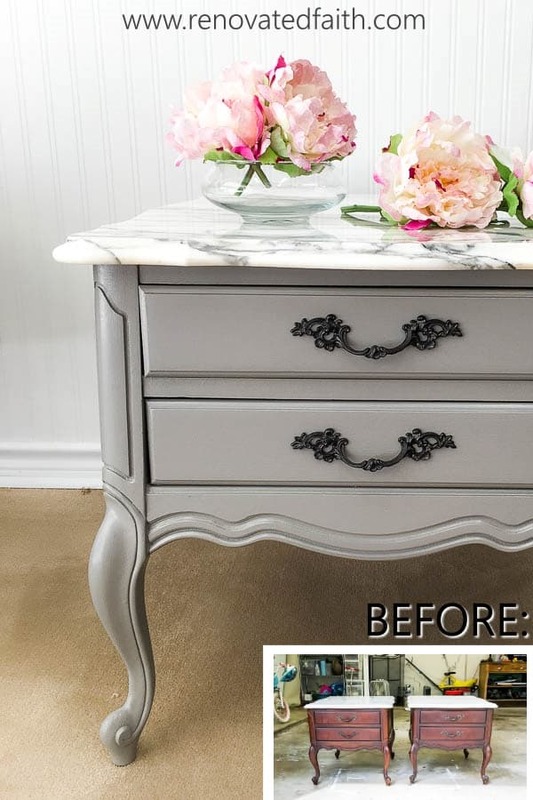 How to Renovated a Dressing Table – This is one of my favorite antique furniture makeovers and my vanity is my favorite aspect of our master bedroom. 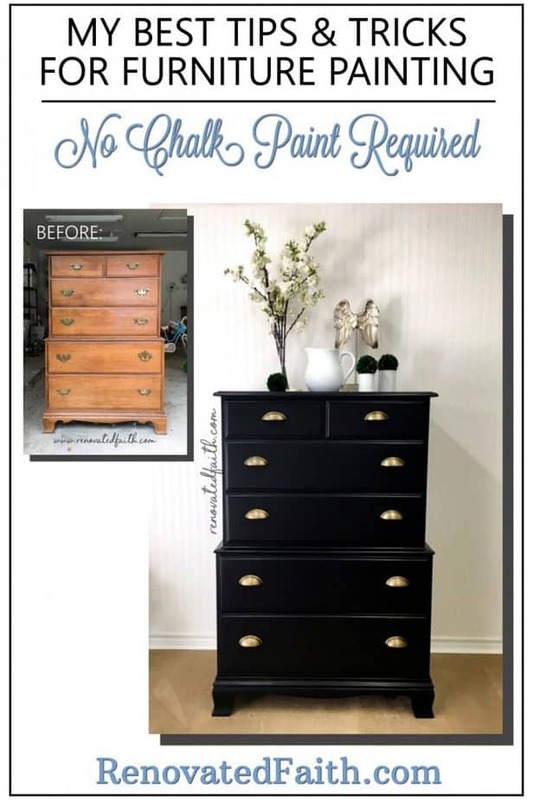 Why I Don’t Use Chalk Paint – This is the project I featured in my post about why I prefer another method to chalk paint. 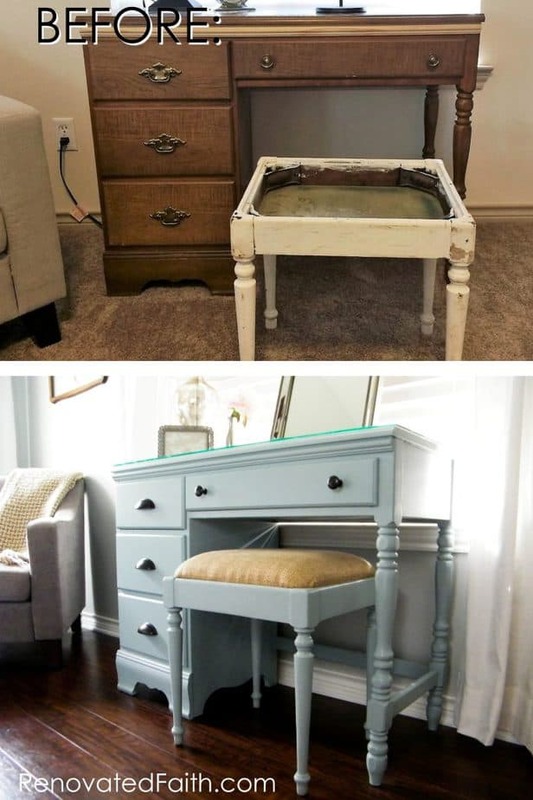 I’ve used the same method on all of the diy painted furniture ideas. 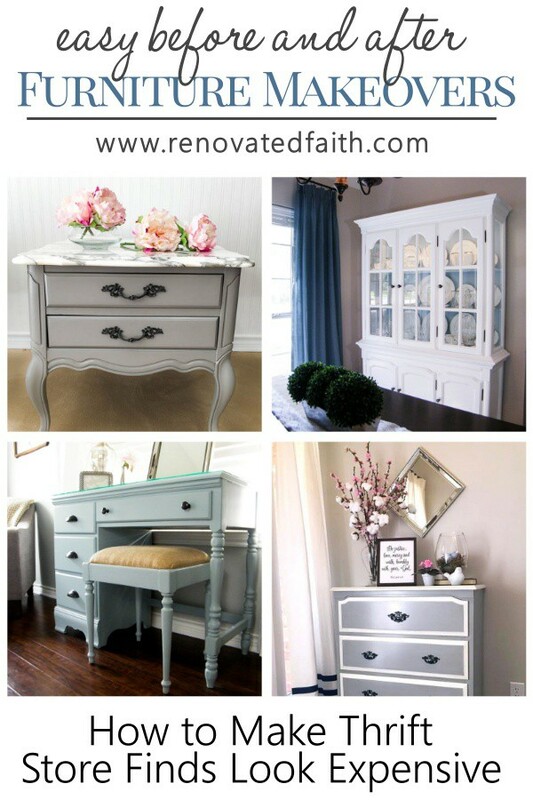 For my best furniture painting tips, click here! 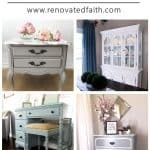 All of my furniture makeover projects including dresser makeovers have been done with these tips to make things go faster and smoother. Must-Have Painting Tips to Save You Time & Money! So excited to see how bold you are in your faith! That’s why I joined your blog. 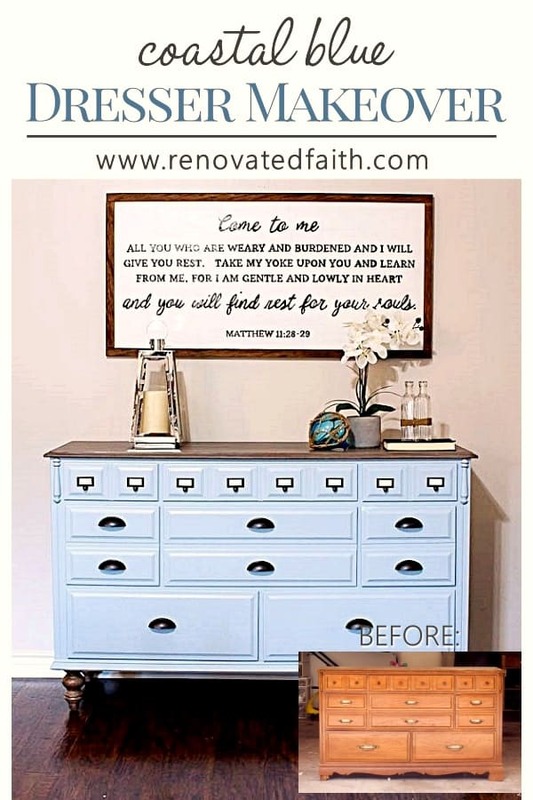 I love Jesus and being new to diy projects, you have inspired me especially thru scripture. 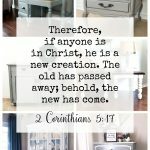 I know Jesus has shopped with me in thrift stores to get these few pieces of furniture that need to be redone for our home. Jesus is in the details. ? Thank you so much for your sweet comment Catherine! I so appreciate it and I’m glad you found me. He ABSOLUTELY is in the details!! !